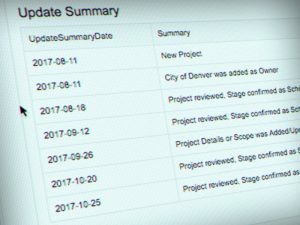 Projects sent to your CRM every day! Mothernode customers who actively pursue projects via ConstructConnected will be delighted with this integration that automatically downloads new project data into their Mothernode Account each day. 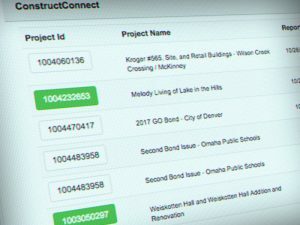 This integration adds new projects and updates existing directly from ConstructConnect. Getting ContructConnect Data into your CRM couldn’t be easier. For support or questions about ConstructConnect, visit their website. ConstructConnect brings together general contractors, subcontractors, building product manufacturers, designers, architects, and project owners – They connect the entire construction industry. Their mission is to provide construction industry professionals with the most complete, accurate, and actionable preconstruction data empowering them to make the connections that drive higher profits and fuel greater success for their business. Mothernode’s integration with ConstructConnect automatically downloads projects that meet your criteria directly into your CRM. 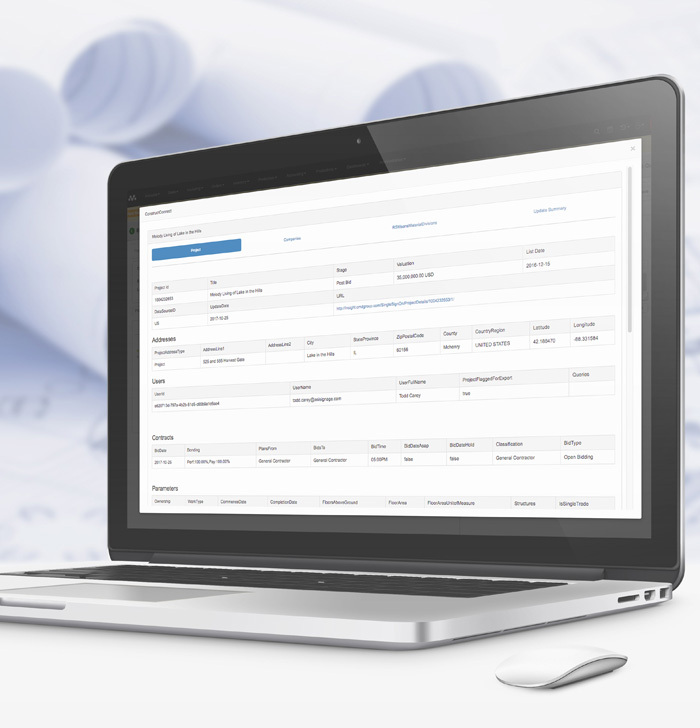 Customers using ConstructConnects Insight product can create search parameters that filter projects that meet their business’ interests. Each day all the new and updated projects that meet the user’s criteria are batched and update by construct connect to an FTP site. Mothernode fetches the data and makes it available a cue screen for review. 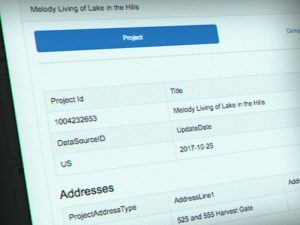 The projects listed include all the information available in the ConstructConnect Project Profile, with the exception of supporting documents, such as plans and other PDFs. Mothernode users can quickly review the projects and with the click of a button, they can create a new opportunity that includes all the information they need about the project. Furthermore, projects they’ve selected are automatically updated as new updates become available in future downloads.